The beautiful Lazors has been updated again, adding a new type of block, the Portal! The new block does what you would expect from any well behaved portal. I particularly like what happens when light is reflected back into the portal. As with the Crystal block, the outcomes can be surprising. You can even create seemingly closed loops... which actually aren't. 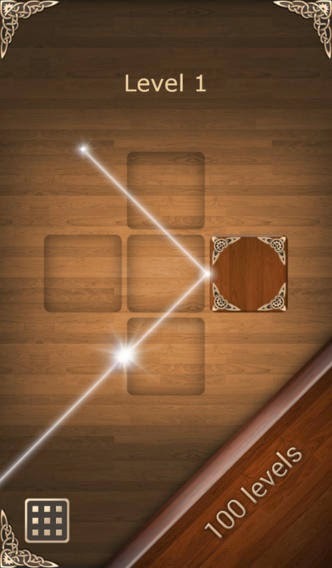 Lazors is a great puzzle game that years after its initial release doesn't cease to get better, so if you don't have it on your device yet, make sure to download it now. The sad note is that on the very same day, somebody released a clone which seems to be little more than a reskin (and even does the same replacing of a S with a Z in the title). No link to that app! I'll just show a screenshot from the App Store description. Make sure to avoid the copies and only download the original game.